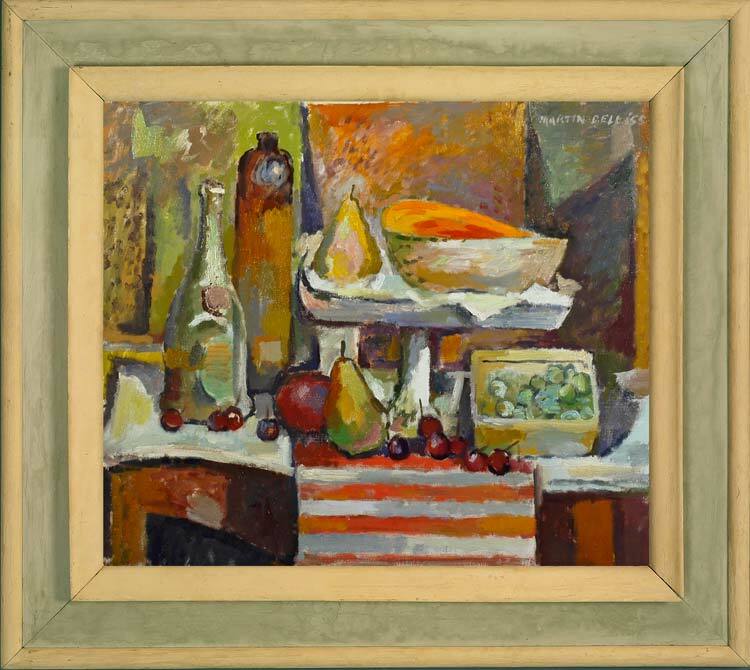 A lively, painterly still life, with vibrant brushwork which animates the almost flat areas of colour. Painted whilst Bell was teaching at the Liverpool City School of Art, during and after the Second World War, the vision, colouring and technique are redolent of the period. Little is known of Martin Bell (fl.1944-56), save that he was a tutor at the Liverpool City School of Art in the 1940s-50s, where he taught Josh Kirby, cover illustrator of the Terry Pratchett Discworld books, Tom Titherington – and possibly also John Lennon.